I'm a self-confessed gadget addict, so if I'm at a garden centre I just can't resist browsing through all the shiny barbecue accessories! Last week I stumbled across a grilling plank in my local Homebase. I'd seen recipes that required a plank to smoke on, but had no idea where to buy one from. I thought I would have to go to the timber section and end up sawing and sanding a piece down myself. As it turns out, they're readily available... who knew?! Anyway, I'm looking forward to trying it out this weekend. I'll be grilling cedar planked chicken thighs with soy-ginger glaze recipe from Weber's Ultimate Barbecue Guide . I'll be sure to post some photos and write about how it goes. 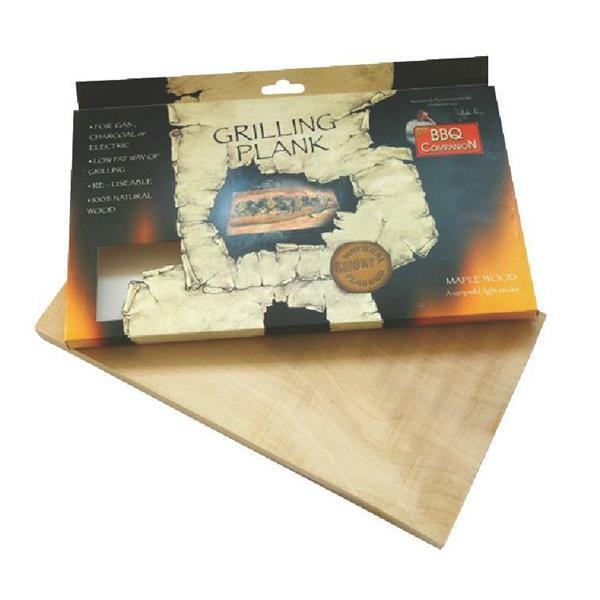 take a look at The Roasting Plank Company(www.theroastingplankcompany.co.uk)for inspiration. They also sell UK made FSC planks in different woods. 005 - Dirty BBQ Burgers!